Clear Gearʼs classic 8oz spray bottle is carefully designed with an easy to use spray trigger and molded neck allowing for maximum comfort as you spray and destroy disease causing bacteria that could potentially harm you and your loved ones. 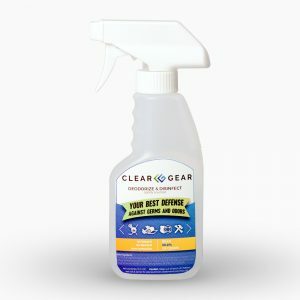 Clear Gearʼs classic 8oz spray bottle is carefully designed with an easy to use spray trigger and molded neck allowing for maximum comfort as you spray and destroy disease causing bacteria that could potentially harm you and your loved ones. The 8oz. 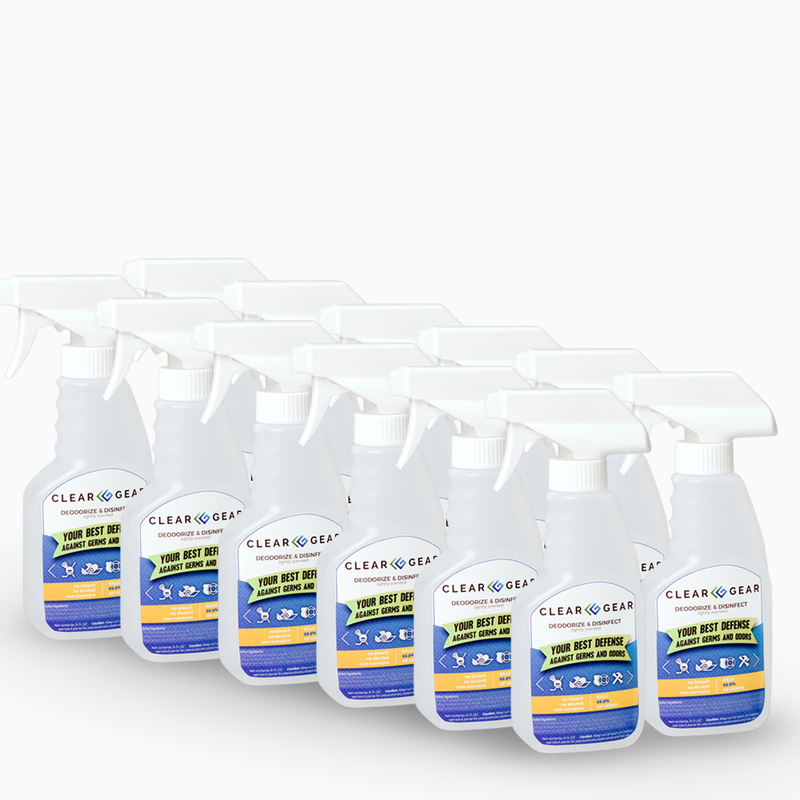 bottle is the perfect size for a variety of applications. 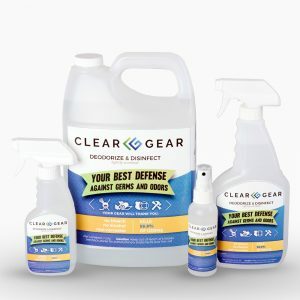 Itʼs small enough to travel in your gym bag or store in your locker while also being big enough to tackle some of the more sizable jobs like spraying down your personal protective equipment. 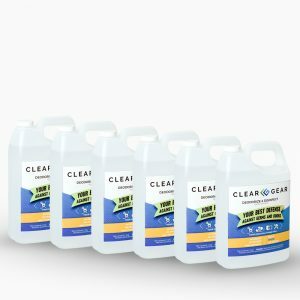 Whatever the job, the 8oz Clear Gear spray bottle is up for the challenge.